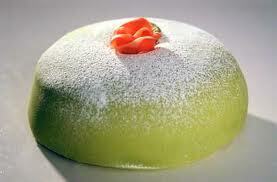 Prinsesstarta (Princess Cake) is the most famous cake in Sweden. The Swedes love it so much, there is even a Prinsesstarta week. 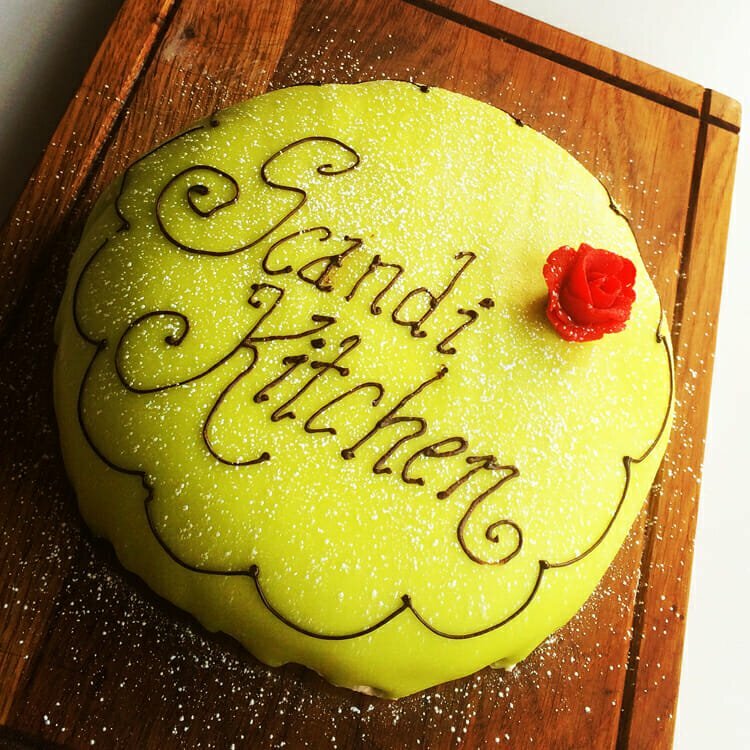 Traditionally a celebration cake, Prinsesstårta is a layer cake consisting of alternating layers of airy sponge, raspberry or strawberry jam, patisserie cream, and a thick layer of whipped cream. 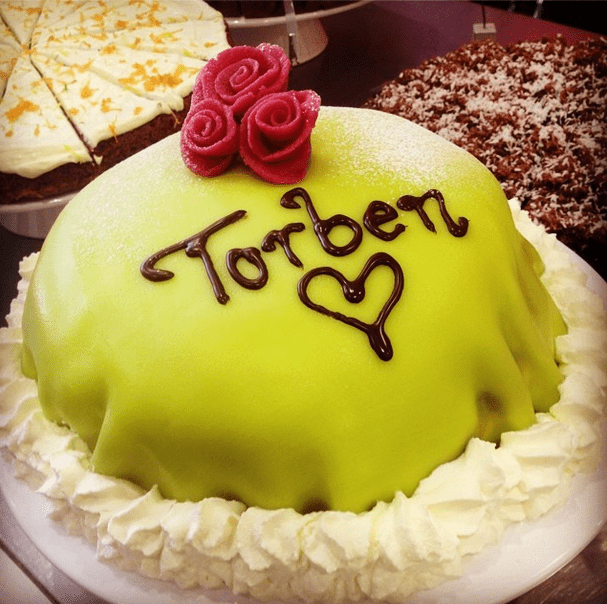 This is topped with green marzipan, sprinkled with powdered sugar with a pink marzipan rose on top. If it's your birthday, you get to eat the rose. It's the law. This recipe is easy to follow and it's definitely worth trying. Even if you don't have time to make this yummy cake from scratch you can still impress people with our cheat's version (see the bottom of the page). It is quick, simple, but oh so delicious. Pour the mixture back into the saucepan and bring back to the boil and cook for 1 minute to thicken. Turn off, sieve the mixture into a bowl, cling film and cool down completely in the fridge before using. On high speed, whisk all ingredients for the whipping cream until stiff peaks form. The cream needs to be quite firm to hold when decorating the cake – but take care not to over whip. Place the first layer cake on the plate you wish to serve on. Spread a nice layer of raspberry jam, follow by a 1cm thick layer of the patisserie cream / whipped cream mixture. Add another cake layer and repeat over again and then add the final cake layer on top (You may have a bit of excess custard cream left). On the top sponge layer, carefully add the whipped cream in a “dome” shape – you will need to use a spatula here to get it quite smooth all over. You’re looking for around 3-4 cm “top” on the cake. Then carefully place the marzipan lid on top and over the edge of the cake, making sure the sides are completely covered and smooth. If you make your own marzipan lid, add the food colouring to the marzipan and roll it out into a round plate which you then put on the cake. Sift powdered sugar on top. Use a piping nozzle and any leftover whipped cream to pipe rosettes of cream around the edge to hide the bottom of the marzipan and any folds. Make the Creme patisserie: 1 sachet of kagecreme powder mixed with 500ml whole milk. Whisk well and chill for 15 minutes in fridge before using. Remove packaging from sponge cake layers. On your chosen tray, add first layer of sponge. Add on top a thin layer of raspberry jam, then add half the crème patisserie evenly all over. Add sponge layer and repeat. Add top lid. On the top sponge layer, carefully add the whipped cream in a “dome” shape – you will need to use a spatula here to get it quite smooth all over. You’re looking for around 3-4 cm “top” on the cake.